Being the huge mascara junkie that I am, today I’m super excited to share my thoughts with you all on the Soap & Glory Thick & Fast HD Mascara that I've been road testing over the last month or so. Firstly can we all just appreciate how lush the packaging of this mascara is! Soap & Glory always have their packaging on point but this mascara is just wow, I love the retro-style box that the mascara is sold in, and the mascara tube itself is glamorously gold and I love every bit of it! The Soap & Glory Thick & Fast HD Mascara itself claims to give length, volume, curl, definition and intensity which is a whole lot of things in one, but basically it's exactly what I look for in a mascara, and if you read my March Beauty Favourites post then you'll already know that I'm slightly IN LOVE with this mascara! So let start with the mascara brush... It has a "super defining 7-sided fan flare 180 degree brush" which coats, combs, lengthens and curls the lashes. I actually find this very easy to use, it's not too big for my small eyes and very small lashes, and it's a natural bristle brush too so I can really wriggle at the root of my lashes without stabbing myself in the eye like I always do with the plastic brushes. The formula is a super intense black shade and quite wet which means I don't have to really load my brush up with product or do much re-dipping, it also features strength-building Collagen Pre-Peptides and Long-Stretch Polymores which work together to wrap the lashes in a flexible, lengthening film. I think this formula and the brush really do go hand in hand and work amazingly well, it can look a teeny bit clumpy if you keep building the mascara up but I actually like that look and I just couldn't believe how black, longer and defined my tiny little lashes where after I used this. Overall I absolutely love this mascara and have definitely found my new holy grail mascara which is really saying something. This formula literally makes my lashes appear longer, super defined and adds a nice curve which is what I always look for in a mascara, and it stays on like nothing I've ever tried before, it literally doesn't smudge, flake or transfer at all throughout the entire day on me, it's incredible. So if you have little lashes like mine that need a bit of a boost then you NEED to try this mascara pronto! 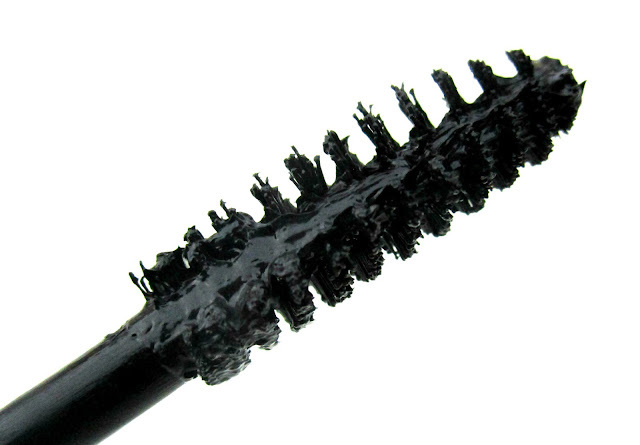 You can find the Soap & Glory Thick & Fast HD Mascara in Boots for £10.50 HERE. 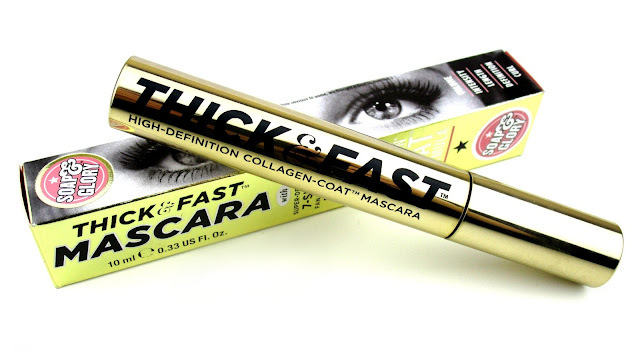 Have you tried the Soap & Glory Thick & Fast HD Mascara beaut's? What did you think? I'd love to know! I haven't tried any Soap and Glory mascara's, I definitely want to now! You can always count on them for pretty packaging. 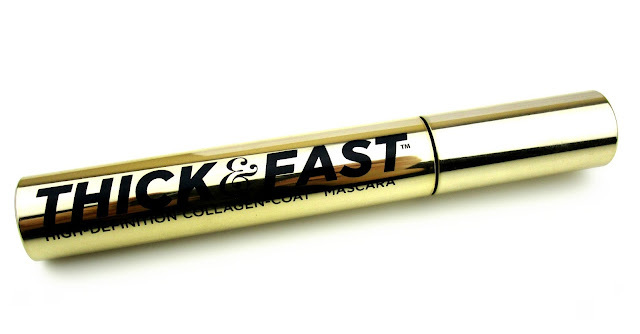 Wow - sounds like a pretty fab mascara! I've only ever tried a few beauty bits from Soap and Glory but looks like this is one to pick up next time I'm at a counter. I love the curl it's given your lashes and i'm impressed that it didn't budge all day. I think I have weird eyes because the majority of mascaras make me look like a panda at the end of day - even when I don't put it on the lower lashes! Great liner flick by the way! 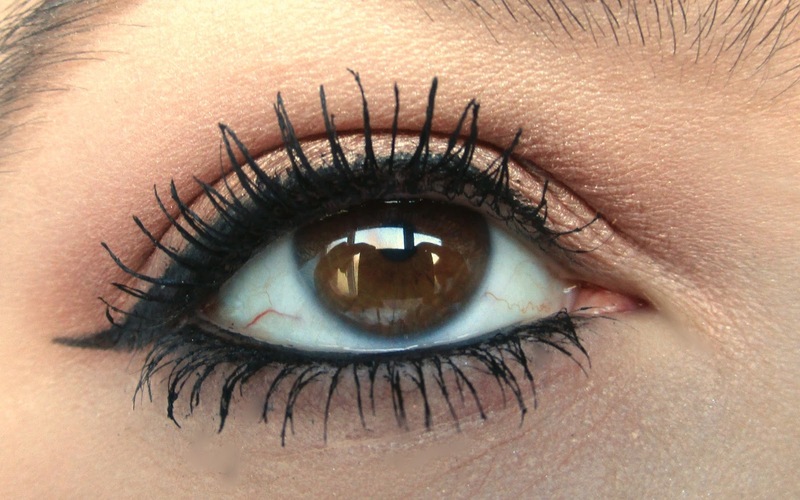 This mascara looks amazing, I have to try it! i've heard so many amazing things about this mascara but finally i've found a post where i can see what it looks like on! looks like i'm gonna have to add it to my shopping list!